If you are curious as to what may qualify as wine storage in Sonoma County, or any other place for that matter, LeDuc & Dexter Plumbing has the answer. Wine Cellars: A wine cellar is a storage room or structure built to house wine in bottles or barrels, or even carboys, amphorae, or plastic containers. In an active wine cellar, important factors such as temperature and humidity are maintained by a dedicated climate control system. 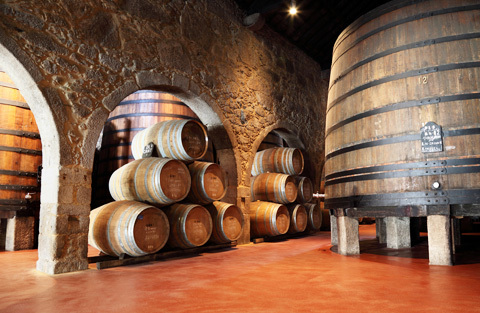 Wine Caves: A wine cave is a subterranean structure designed for the storage and aging of local wine. They are an integral component of the wine industry worldwide. The design and construction of wine caves represent a unique application of underground construction techniques. Client Review: This is the first time I’ve worked with LeDuc & Dexter Plumbing and their staff has been dynamite. The project has been unique with both residential and commercial work running concurrently. LeDuc & Dexter Plumbing have been responsive and always fully staffs the job based on our needs. I feel the design/build effort on the winery has been efficient in delivering the best possible product at a competitive price. Client Review: We continue to use LeDuc & Dexter Plumbing because their work is always completed to our satisfaction, their response time is excellent and they always honor their work warranty. Bill Zeeb was able to design LeDuc & Dexter Plumbing’s system to match our system at the winery, overall they’re one of the best subcontractors we’ve worked with. Client Review: We’ve been working with LeDuc & Dexter Plumbing for a number of years. They designed and installed the plumbing and fire protection in our barrel storage building that was completed in 1996. Their project manager Bill Zeeb provided timely supervision, and he coordinated well with other subs. His suggestions to install a hose station, for instance, seem like a small thing, but it can be invaluable when we are in operation – it’s an example of LeDuc & Dexter Plumbing professionalism. Client Review: We’ve done two substantial projects with LeDuc & Dexter Plumbing, over half a million dollars’ of work. One system has 30 miles of pipe and 14 pumps. Proficiency is our number one consideration, and they are very proficient every step of the way. We produce a first-class wine, and we do it working with first-class people like LeDuc & Dexter Plumbing. As the premium wine industry has grown in quality and sophistication, so have the winemaking storage facilities that hold some of the finest wine in the world right here in the North Bay.